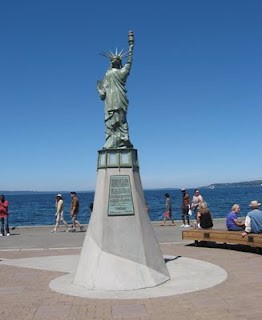 Alki Beach is located at the north end of the West Seattle peninsula. The beach is a little bit of heaven on earth, and I feel blessed to call this place my home. It is truly Where I Am Now. 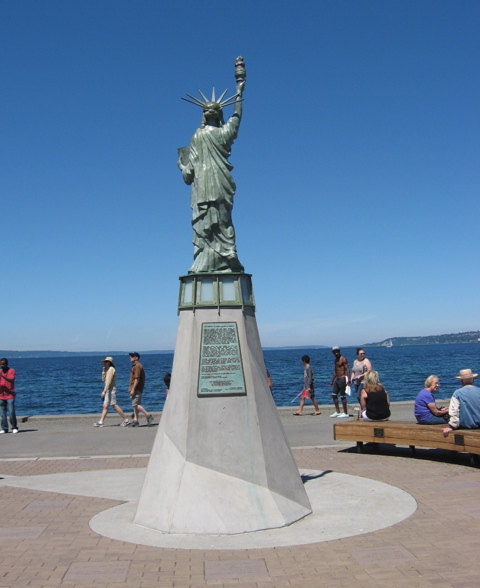 Alki Beach is just minutes away from downtown Seattle, so we have easy access to theaters, the opera, the symphony, museums, shopping and great restaurants. But because this is a beach community, we come home to a relaxed, laid back atmosphere. We have the best of both worlds. Here are posts I've written about life here at the beach. Pirates and Pole Vaulters, Aaargh!